ER24 paramedics arrived on the scene at about 6am where they found three people had been involved in the crash. 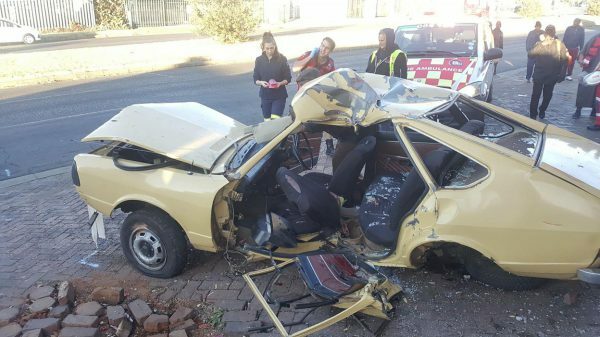 Two people were seriously injured when their car crashed into a shop on Main Road near Ackermann Street in Newlands, Johannesburg early on Sunday morning, paramedics said. ER24 paramedics arrived on the scene at about 6am where they found three people had been involved in the crash, ER24 spokesman Werner Vermaak said. The car was found on the side of the road with two occupants trapped inside. They were freed by ER24’s rescue team and treated before being transported to Helen Joseph Hospital for further treatment. A third occupant was found with moderate injuries. The circumstances surrounding the incident were not yet known, Vermaak said.